European new-car registrations rose 7.7 percent in May from the same month a year ago, returning to growth after a dip in April and with nearly all automakers recording sales increases. 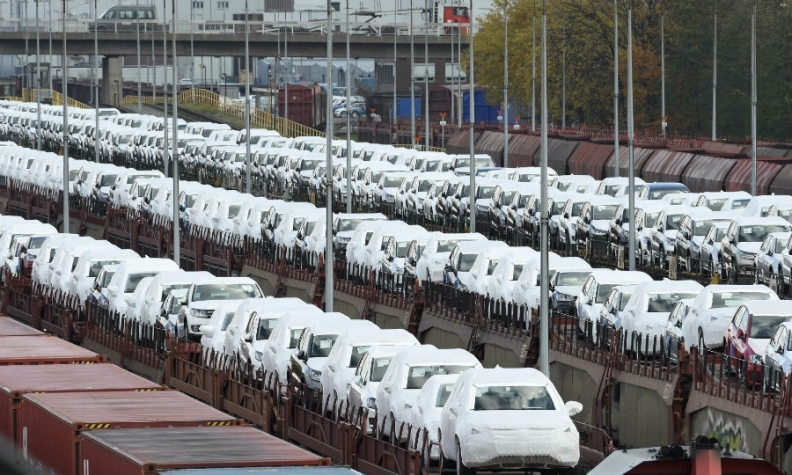 Registrations in the European Union and EFTA markets increased to 1.43 million vehicles last month, industry association ACEA said in a statement on Friday. "In volume terms, this result comes close to May 2007 levels, just before the economic crisis hit the auto industry," ACEA said. May's growth was led by Japanese carmakers Suzuki and Toyota, up 21 percent and 20 percent respectively, and Germany's Daimler, up 14 percent. Sales from the Fiat Chrysler Automobiles stable rose 12 percent, as a 49 percent jump for Alfa Romeo models helped offset a 7.3 percent drop for its Jeep SUV brand. Renault recorded an 11 percent rise in registrations, outpacing PSA Group, whose sales increased 4.8 percent. Sales at Volkswagen, Europe's biggest carmaker, rose 8.4 percent, both for the group and its core namesake brand, as the company continues to recover from its diesel emissions test-rigging scandal. Its market share remained roughly stable year-on-year at 24.3 percent. Ford Motor's sales were up 4 percent. Download PDF, above right, for May and 5-month sales by automaker, brand and market. The only carmakers to report falling sales last month were Jaguar Land Rover, down 9.3 percent, Japanese carmakers Honda and Mazda, falling 14.5 percent and 2.3 percent respectively, and Opel Group, down 1.7 percent. In the first five months, European registrations increased 5.1 percent to 6.92 million vehicles. All five major national markets, except for the UK, recorded sales increases last month, led by Germany, where registrations increased 12.9 percent, and followed by Spain, where sales were up 11.2 percent. UK sales dropped 8.5 percent. European car sales returned to annual growth in 2014 after a six-year slump during which registrations fell to their lowest in decades. Demand has been growing most months since, as an improvement in consumer confidence, retail incentives and new product launches lured customers back to the showrooms. The May increase comes after registrations dropped the previous month, given fewer trading days around Easter and thanks to a double-digit sales decline in Britain.